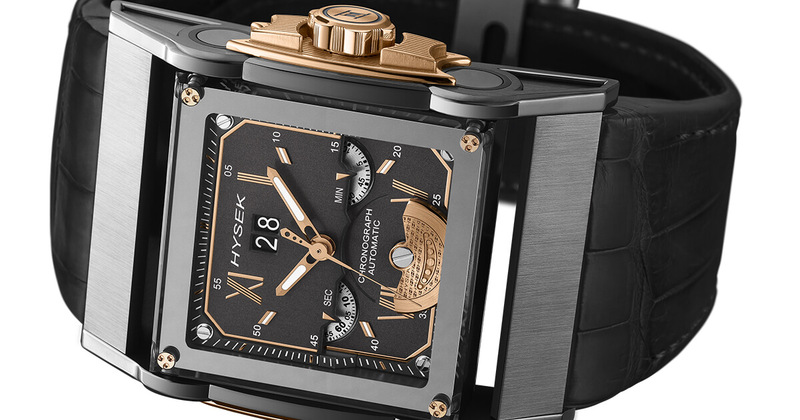 One of Hysek’s showpieces, the column-wheel chronograph - created, developed and assembled in-house - has made a strong comeback with a new dial that underscore the strong character of this Furtif. Its HW4057 calibre, comprising 416 components, represents the noblest interpretation of the chronograph with a column wheel to coordinate its functions. Its automatic winding is no longer assigned to an oscillating classical turning point mass, but to a micro-rotor integrated into the movement structure itself. The developers of the Manufacture have increased the power of micro-rotor winding combining the one visible on the dial to the one present on the back of the watch. This calibre, entirely finished by hand, is located in the heart of a titanium and rose gold case, with mobile lugs for better ergonomics and adorned with a sapphire glass screwed into four points to maximize its readability. 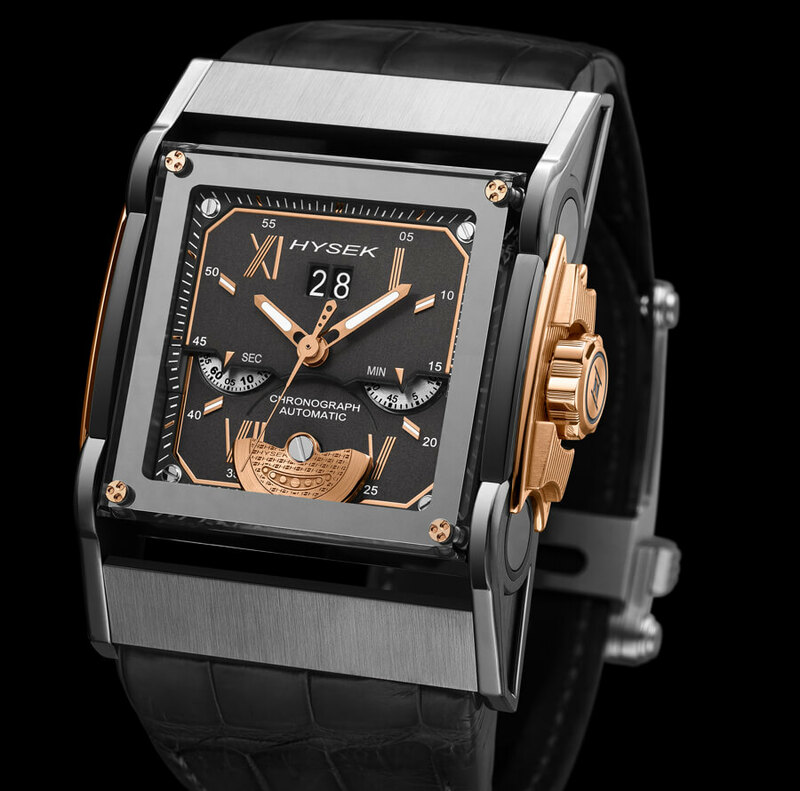 All very architecturally, it reveals the power of an avant-gardiste, intensely urban watch. 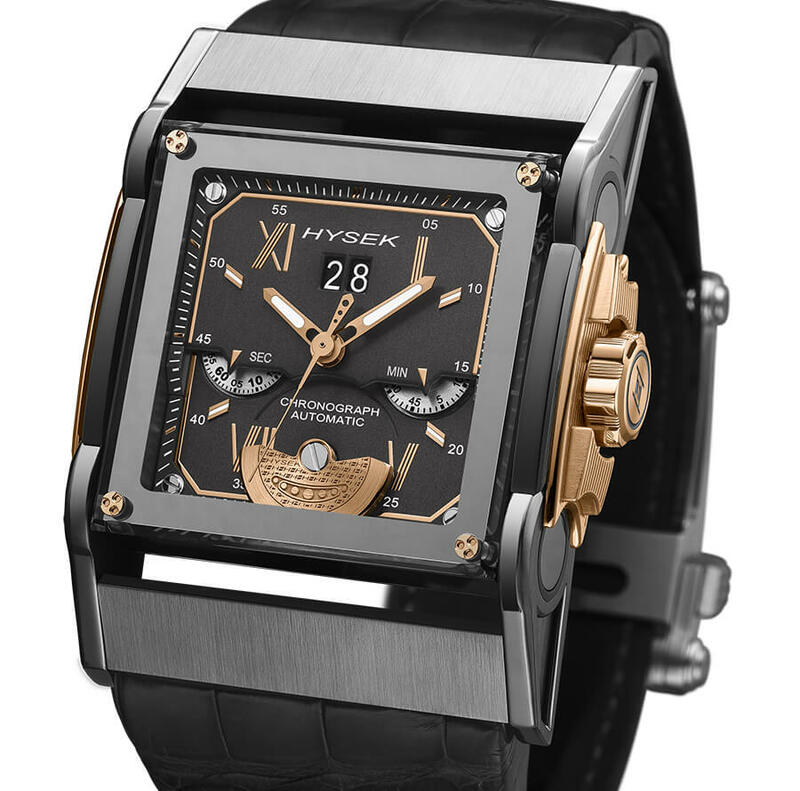 Fluid and present on the wrist, this timepiece can be worn in a relaxing way on hand-sewn alligator strap, closed by a double security fold-over buckle developed exclusively by Hysek Manufacture. For more information visit Hysek Online.